I love Thanksgiving for so many reasons. I love reflecting on all of the blessings in my life, I love spending time with my family and friends, and quite frankly I think turkey’s are pretty stinking cute :). 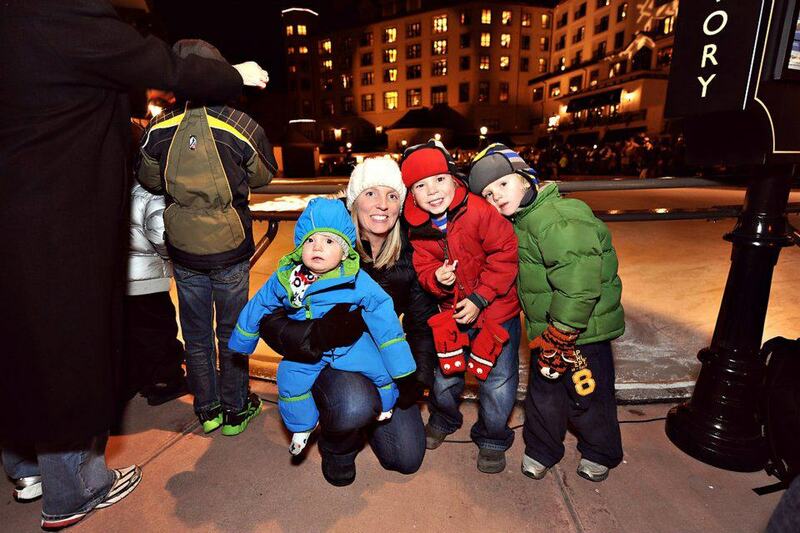 I really do love this time of year because it’s a great time to teach our children about being thankful. Last week I overheard a parent using the comment, “First World or Third World Problem?” when their child was reacting to the wrong kind of sandwich in their lunch box or in my family when they have to wear their big brother’s hand me down winter coat. This is a pretty innovative way to teach your child how blessed they truly are, I might just have to pick it up :). We are ALL guilty of overlooking our blessings and being less than grateful. If we all commit to discussing thankfulness with our families at least a couple times this month, imagine what virtuous children we could all have… Here are a few ways we share thankfulness in our house…. 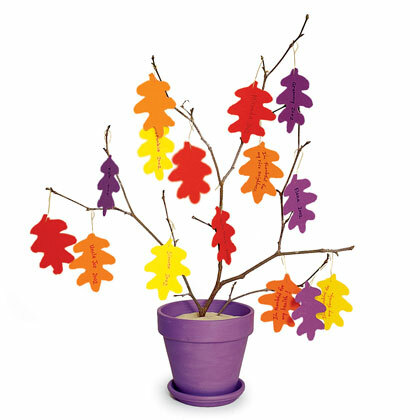 My MOPS group introduced me to, “Thankful Trees” . 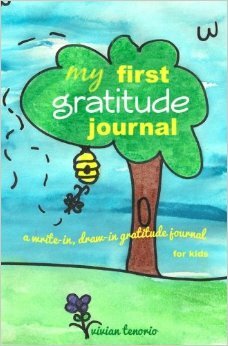 Each day at home discuss something you feel thankful for and write it on a paper leaf or tag. Add the leaf to the tree. 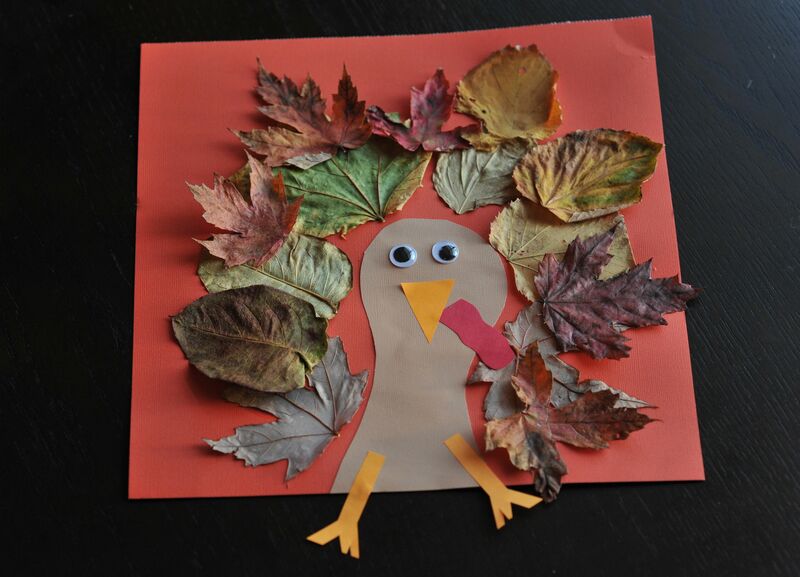 On Thanksgiving Day, read all of your Thankful Leaves together as a family! This would be cute for a Sunday School Class or School Classroom! 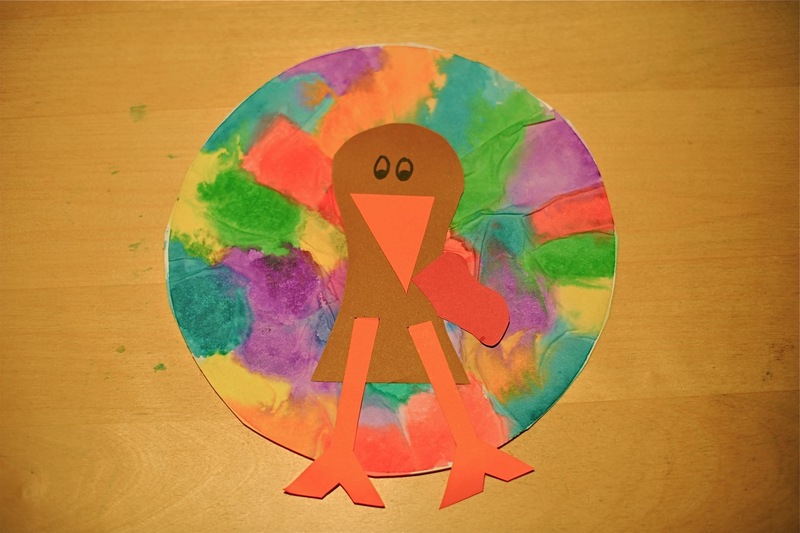 When I taught elementary school, every year we would make a FAMILY THANKFUL TURKEY! 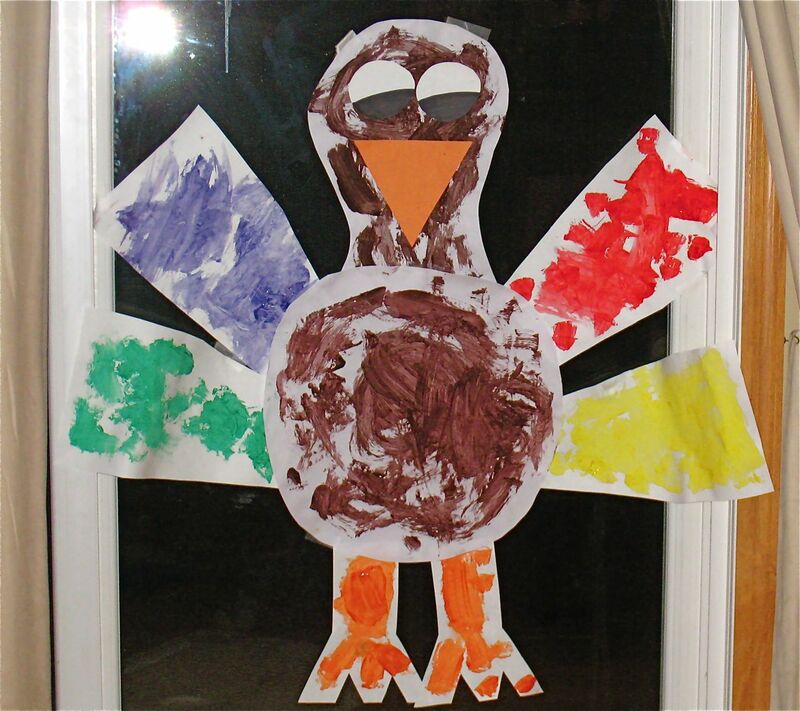 Each child was given a tag board turkey feather to take home and decorate to represent the things they are thankful for in their lives… They would then bring the feather back and we would put them all together to make a giant turkey. I of course can’t find a picture of one of them (because my 7 year old spilled soda on my computer 🙂 ), but when I do find the pic I’ll try to post it! 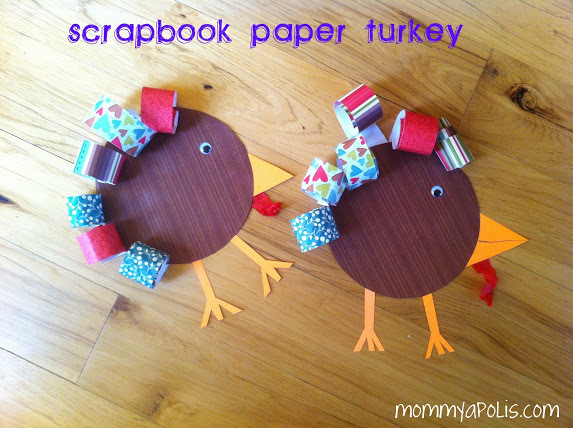 It was always fun to see the family feathers and our turkey always turned out so cute! 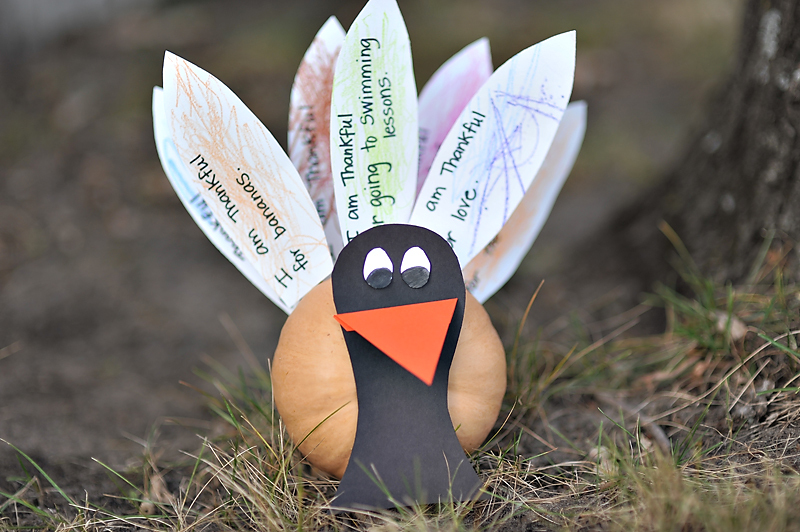 Here are some other fun crafts you could do around Thanksgiving time… Just have your child write on the back of the craft what they are thankful for as a little extension :).